Parents, Governors and the wider School community, are invited to celebrate the work of this year’s A-level and GCSE students. A selection of paintings and sculptures from our most talented students. We have some especially strong work this year on a variety of themes. Some exceptional clay work sits alongside thought provoking painting. You will also have a chance to look through the sketchbooks and see the journey the work has taken each artist. 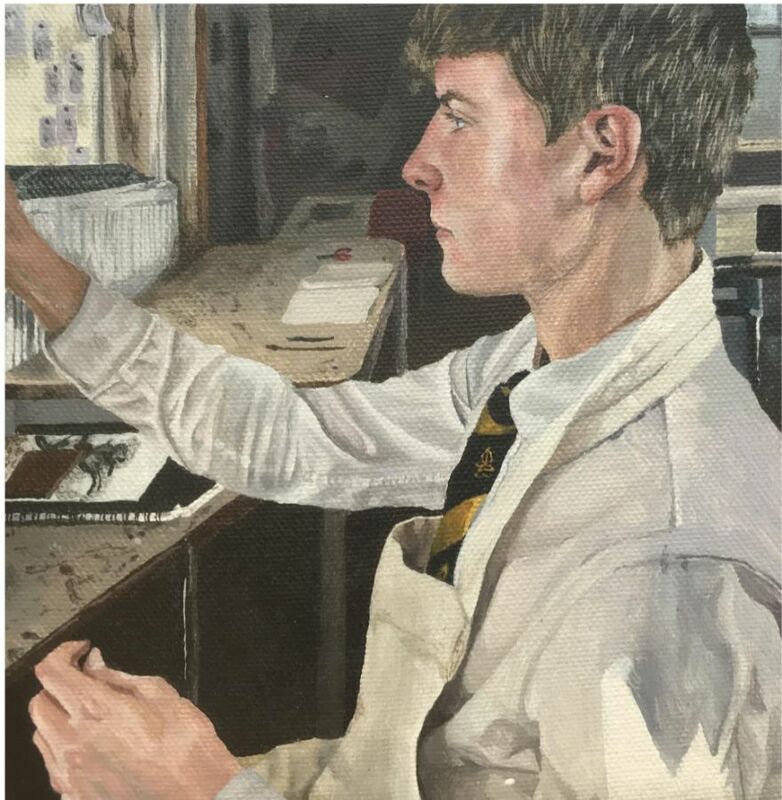 Sheena Bryson's painting shown on this page, is a good representation of the standard of this year's candidates.